Stop wasting time living with pain. Pursue a better life today! Our goal is to help you Pursue your goals and get you back to doing the things you want to do as quickly as possible. Whether you're looking to reduce pain,optimize your fitness, or hoping to reach a new goal, our Double Board Certified Doctor of Physical Therapy in Orthopedics and Sports at Pursue PT will help provide unique one-on-one care coupling experience with your personal goals. No Prescription Needed to start Physical Therapy! Each individualized program is designed to get you back to what you love to do, resulting in fewer visits & better results..
Find yourself amongst modern science and equipment with quality care. Pursue Recovery offers a variety of options to help the body recover quickly and properly for your next training or competition date. We offer hands on stretching, Normatec® Recovery Systems, cryotherapy packs, RockTape®, and a variety of other tools. 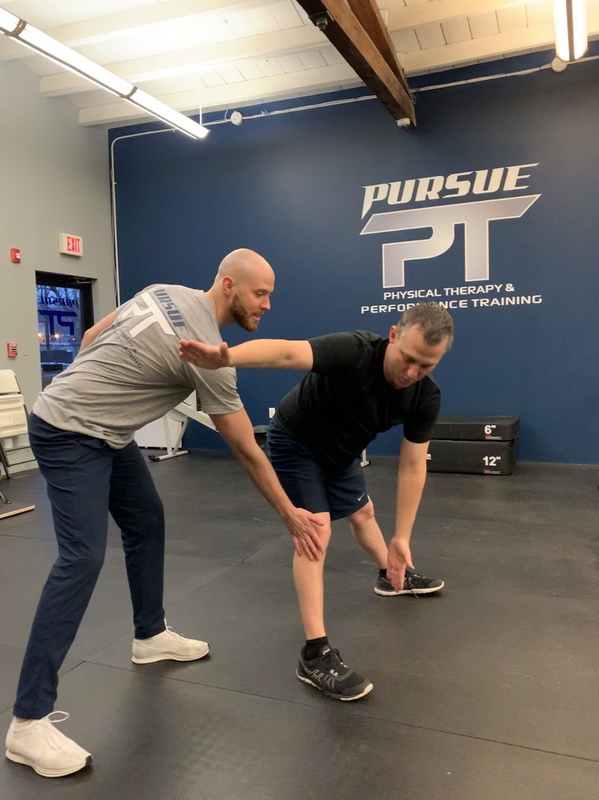 Our Pursue Fitness program includes all aspects of the fundamentals of fitness including but not limited to mobility, stability, and strength & power development. This program is for the individual that has never lifted a weight to the seasoned weekend warrior looking to stay fit. We will develop a program that will assist you in reaching your health & fitness goals in either a private 1 on 1 training, partner training, or small group training upon request. Shoulder discomfort can be linked to dysfunction of the second rib mobility. There is a potential because of the referred pain coming from the second rib that with mobiliziation of the region can lead to pain alleviation in the shoulder. Lumbar spine manipulation is a manual therapy technique in which a high-velocity, low amplitude force is applied to the lumbar vertebrae with the goal of reducing pain and improving function. It is often referred to as “back cracking” by patients as a joint cavitation, or audible “pop”. Nonthrust techniques, on the other hand, while also targeted at mobilizing spinal segments to restore optimal functioning are applied with a low velocity force. Both thrust and nonthrust techniques are often used for pain relief, but the specific mechanism behind their analgesic effects remains to be fully understood.